Swansea City fan Daniel Garnett had always loved NBA but his experience of playing basketball was limited to trying out the game in local parks. That was until three years ago, when, as a Year 7 student, he found out that Swansea City were offering basketball sessions. "There were adverts in my school and posters all over the walls and I thought 'why not get involved?'" says Daniel. "I've got a season ticket for the Swans and I've always been passionate about football. But then the club started to introduce basketball sessions, which is great because it combined my two passions." Through its Community Trust, Swansea City are one of a number of clubs offering young people the opportunity to take part in sports other than football. "I think it's a really good idea to use football to attract people like myself to take up new sports," Daniel adds. Three years ago, Daniel Garnett started playing basketball with our #PL4Sport project. Now he plays for Wales. "A lot of people seem to be playing football because it's one of the main sports in Wales, but sports from other countries like basketball aren't really played as much." As a shy 12-year-old, it took some courage for Daniel to go along for the first time but he has not looked back over the last three years. "These sessions have helped me massively," he says. 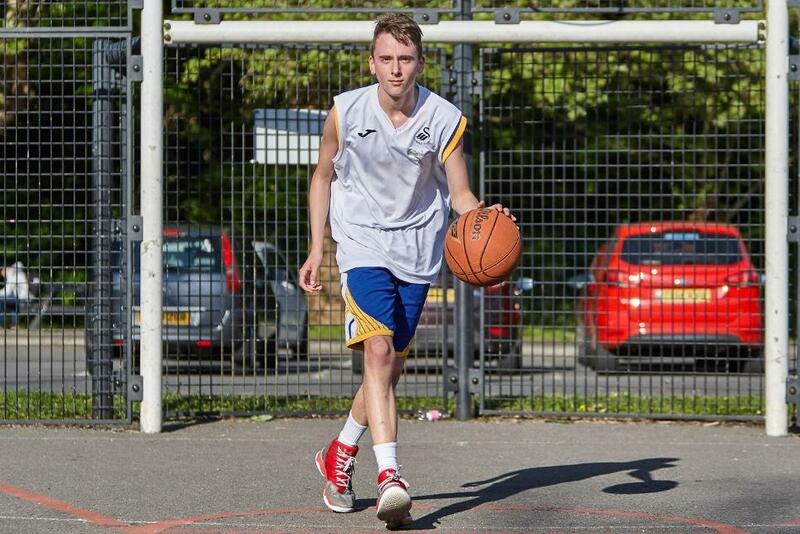 "They've helped me to develop my basketball skills and have helped me a lot socially. "I've made a lot of new friends who I talk to regularly and play basketball with every week. They're very good players too, so it's always a challenge to play with them and it ups my own game. "The Community Trust coaches who run the sessions are really encouraging and always see the light in people. "Even if people aren't the best to begin with, there’s always a talent there and they can see that. There's a star inside everyone and the basketball programme has helped mine to shine. "The Swans' sessions helped me to build my confidence until eventually I plucked up the courage to go to training sessions with [my local team] Swansea Storm." Now 15, Daniel has progressed into the international set-up, being picked to represent Wales' Under-15s against Ireland and earning his first cap at Easter. As a result he was given the Achievement of the Year award at the Swans Community Trust's annual celebration event. 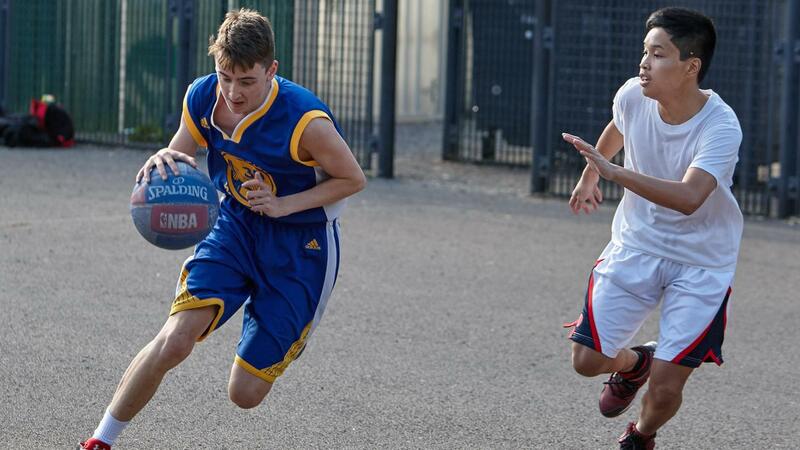 Daniel is now keen to inspire and encourage new participants who are trying their hand at basketball. "I still go down to Morriston Leisure Centre every week, where I try to challenge the new players that have started to come along," he says. "I try to challenge them to help them develop their own skills until they pluck up their own courage to join a team."